The Let’s Talk Billings campaign is dedicated to preventing suicide among teens by recreating the Miles City project in a way that is conducive to the needs of Billings’ teens. The goals are to: 1) get people in the community more comfortable talking about mental health issues; and 2) provide help for those who are depressed and possibly suicidal. A website with resources for Eastern Montana residents went live on Sept. 8, 2012: www.letstalkmilescity.com and is maintained by the Miles City Local Advisory Council of mental health professionals. Admission to the Let’s Talk Miles City documentary will be a suggested donation of $25.00. Light hors d’oeuvres and beverages will be served at 6:00 pm. 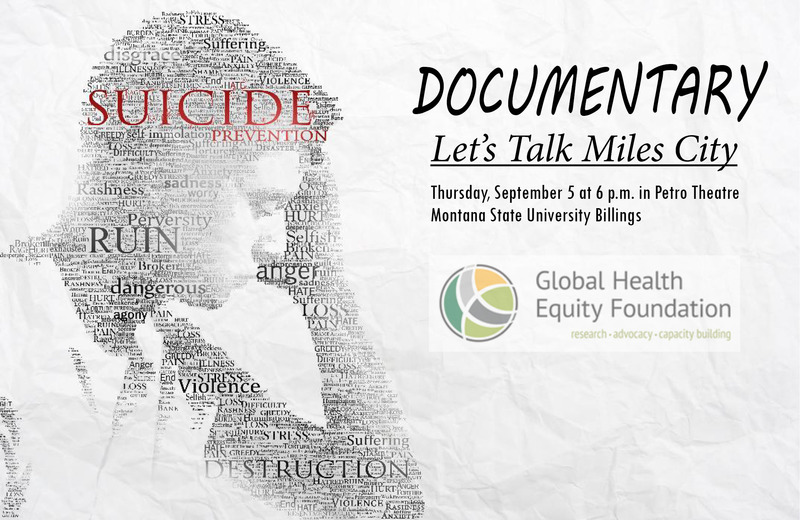 After the screening of the documentary, various speakers will talk about local suicide prevention efforts.